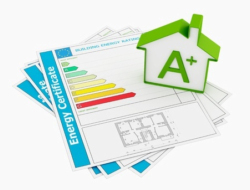 Energy Performance Certificates (EPCs) are required whenever a property is, built, sold or rented. EPCs provide information on a property’s energy use and typical energy costs with recommendations about how to reduce energy use and save money. On instruction, EPC4U will survey a property within 48 hours (normally within 24), or at vendors request, a later time, and upload the data required for the EPC on the day of inspection and can provide clients with an EPC by electronic means, CD-ROM, flash memory, and of course paper. On completion of the EPC, you'll be given access to the EPC, an Energy Rating Graph for your marketing use and if you have requested, the floor plan of the property. Floor Plans, Energy Rating Graphs and 360° Virtual Tours can be sent in a variety of resizable formats; please confirm how you wish to receive these.